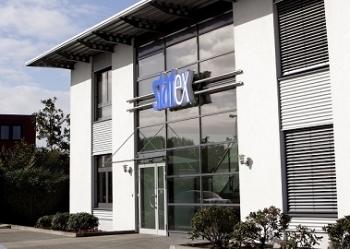 Statex Produktions & Vertriebs GmbH was founded in 1978 and is located with headquarters in Bremen, Germany. Statex supplies a variety of textiles for finished products within many different markets. The focus, however, are intelligent textiles, yarns and fabrics for medical and technical applications such as EMI-shielding and antistatic. RF Solutions LLC has enjoyed an independent testing relationship with V Technical Textiles for the past several years, providing shielded effectiveness testing for materials, portable enclosures, and other finished goods. The shielding effectiveness testing of both materials and portable enclosures ensure the performance and integrity of the units for their intended use of restricting electromagnetic interference. RF Solutions LLC is an A2LA certified independent product testing laboratory; certified to conduct shielding effectiveness testing to IEEE 299, ASTM D4935, and ASTM D1851 as well as many other EMI/EMC testing requirements.